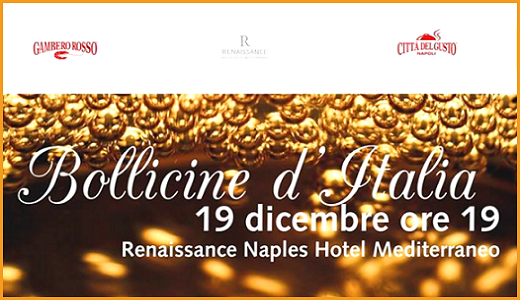 We will present our Pinot Noir-based Metodo Classico sparkling wines in Naples at Bollicine d’Italia on Wednesday, December 19th. The event, organised by Città del Gusto Napoli and Gambero Rosso with the help of AIS Campania, will be hosted in the halls of Renaissance Hotel Mediterraneo. From 07:00 pm to 11:00 pm grand tasting of sparkling wines from all over Italy and top quality artisan food specialties. The event will also feature a art exhibition.